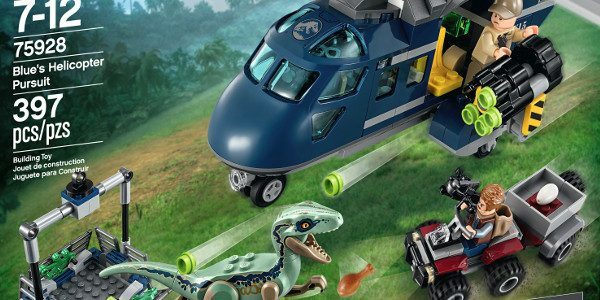 This morning, the LEGO Group revealed three new sets based on the much anticipated Jurassic World: Fallen Kingdom film that span across the various LEGO® play categories: LEGO Systems (ages 6+), LEGO Juniors (4+) and LEGO DUPLO (ages 2-4). These sets, and more based on the film, will be available April 16, 2018. Builders can unite Owen with his lead Velociraptor in this set designed for fans, ages seven and up. 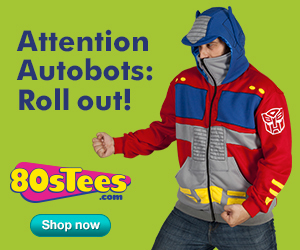 The set includes a quadbike, helicopter, featuring rotating blades and dual searchlights. The set also includes three minifigures: Owen, Wheatley and a pilot, plus Blue, the Velociraptor. Children as young as four can play along and build a posable T. rex, opening gate and a truck with Quick Start chassis. This LEGO Juniors set includes easier building instructions and quick start elements as well as three minifigures and a baby dinosaur figure. This new LEGO DUPLO set is suitable for builders, ages two and older. This easy-to-build dinosaur features large building bricks and is great for creating endless role-play stories! Toddlers and their parents can build this set together, which features a T. rex with opening jaw, revolving lookout tower, car and an Owen LEGO® DUPLO® figure.